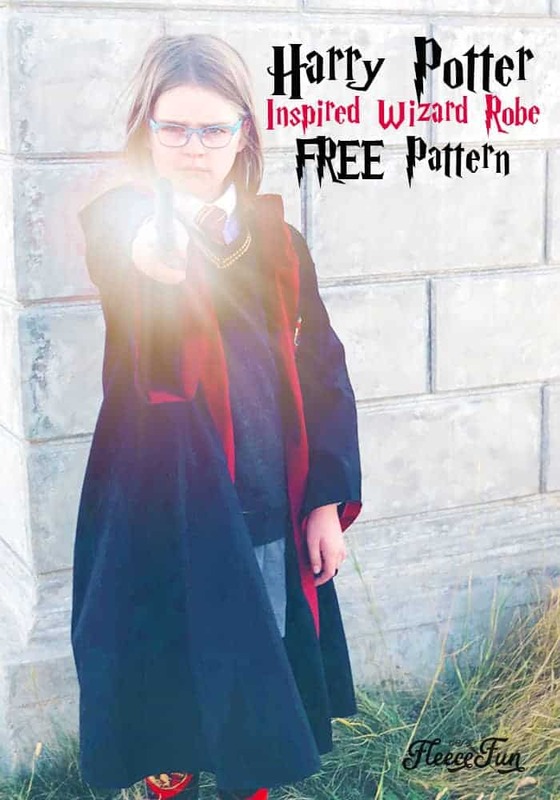 Free Sewing Pattern: This Harry Potter Robe Pattern Free is perfect for your little Hogwarts Student. With step by step instructions and pictures so easy, even a muggle could understand them. 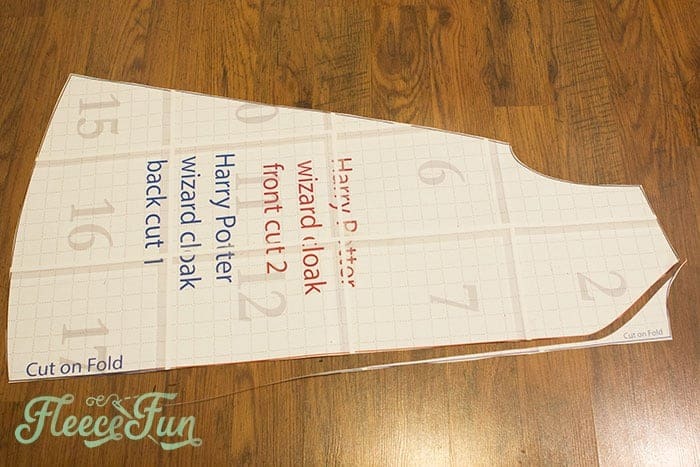 Download the free sewing pdf pattern so your little wizard or witch can be ready for the sorting hat. 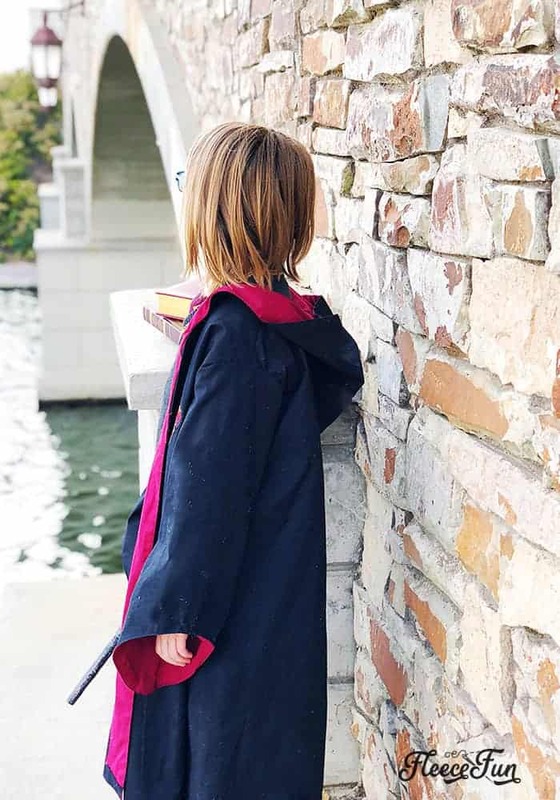 This inspired by Harry Potter Robe Pattern is perfect for your little Hogwarts Student. 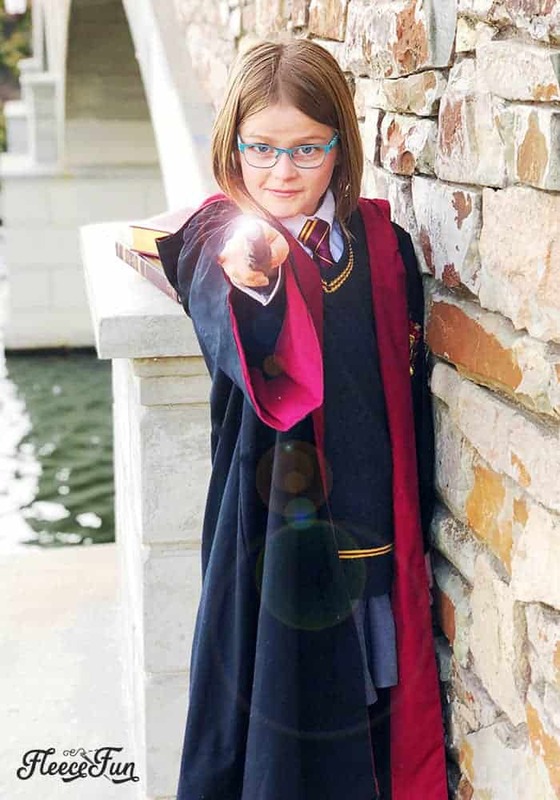 Designed so you can make it work for whatever house you’re sorted into, this robe is a classic item to add to your costume box. 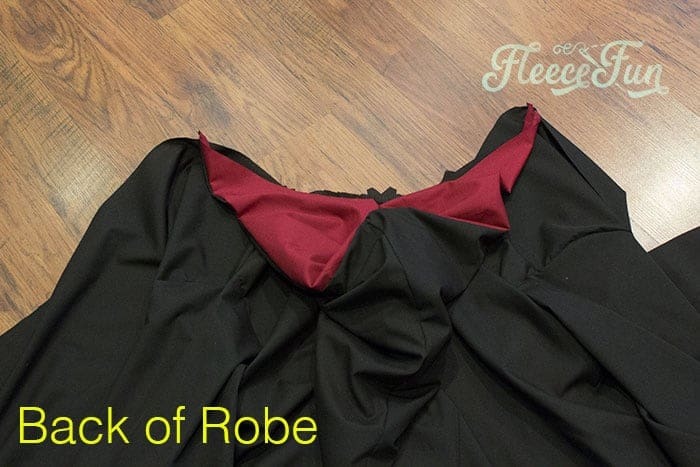 With a few simple materials and Fleece Fun’s free pattern this robe will be the perfect addition to complete your wizard school look. 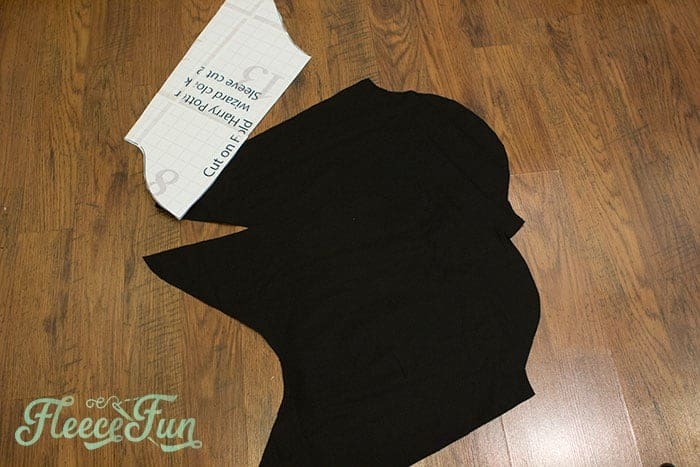 Assemble the pattern you can find detailed instructions here. For speed’s sake I’ve designed the pattern so one piece doubles as the front and the back. 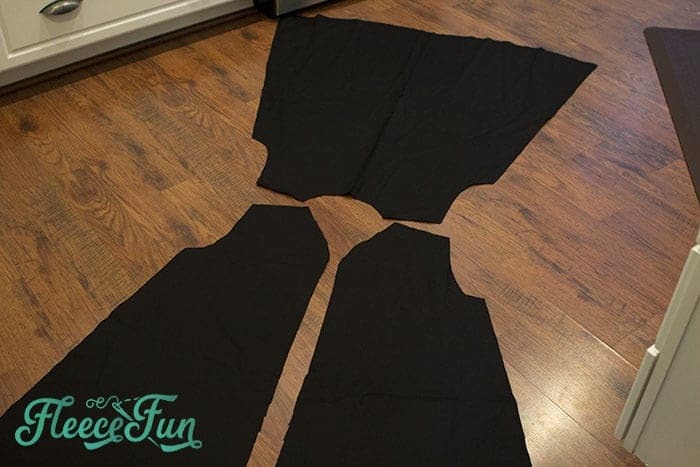 Essentially you will cut out the back and then cut down the pattern so you can cut out the front. 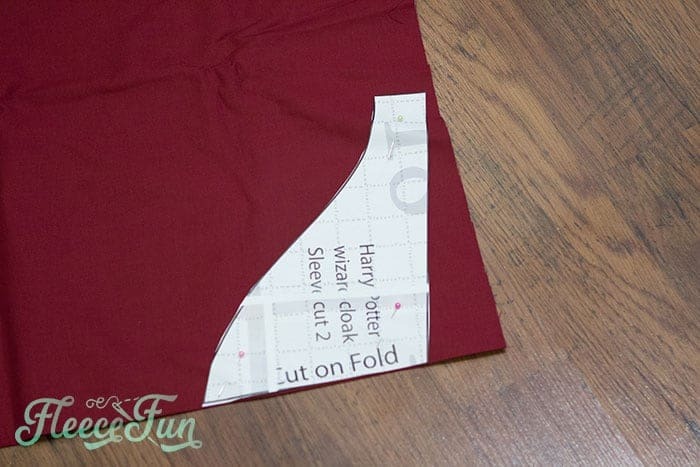 On folded fabric, Place the back on the fold and cut out 1. 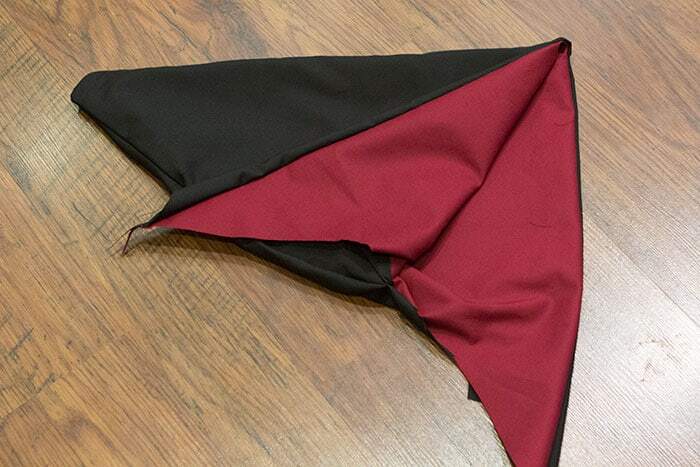 When you unfold the back it should be one large piece. 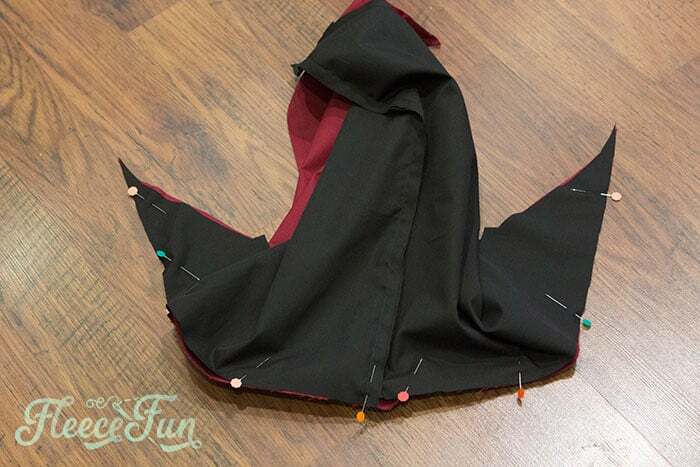 Next it’s time to cut out the Hood: here you can see how it should be placed on the fabric in relation to the robe back to get the most out of your fabric. 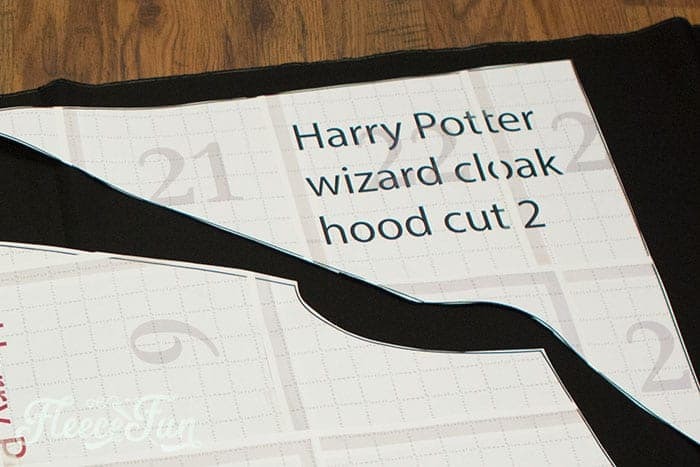 Get the wizard hood and on folded fabric cut 2. 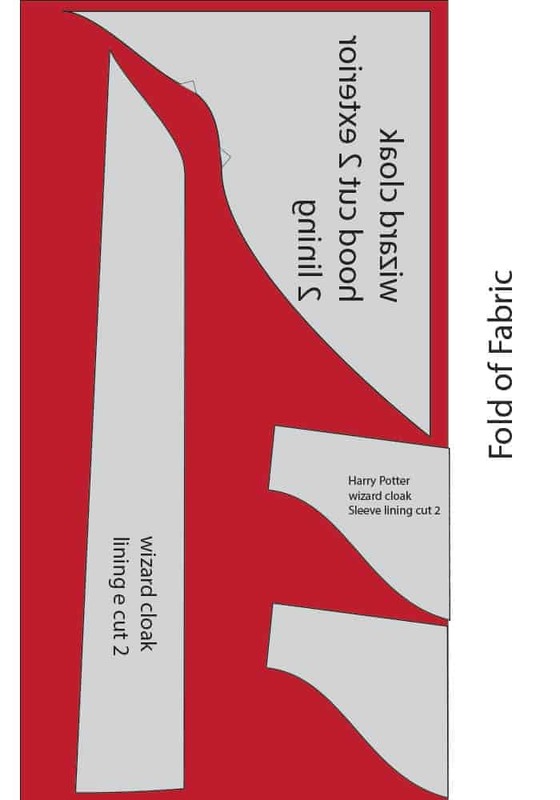 You’ll notice on the Harry Potter Wizard robe pattern piece that there is a red line. 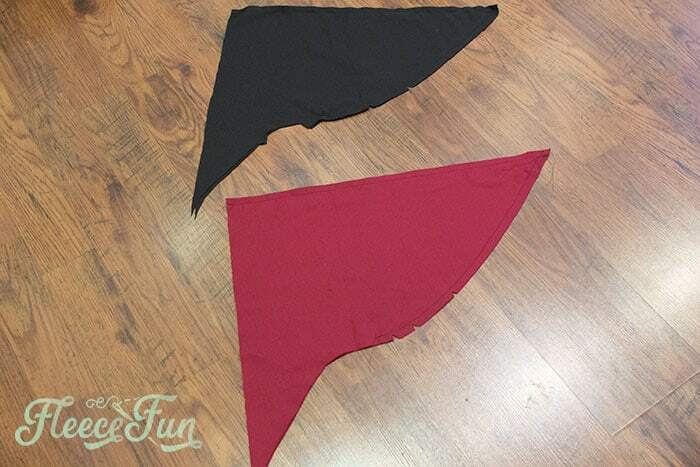 Cut down the pattern to the red line to make out the shape of the front. 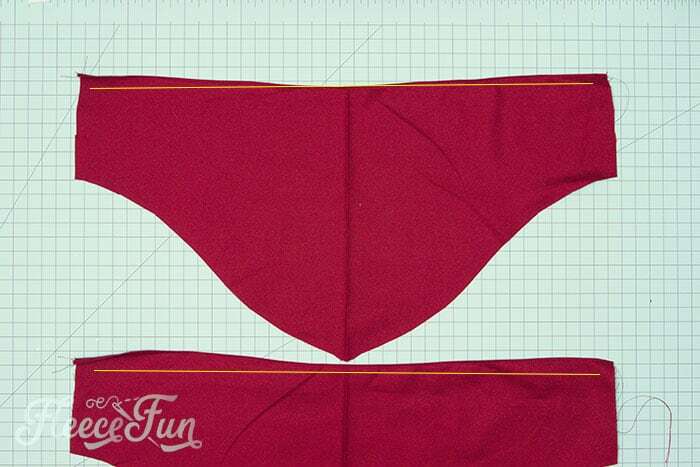 Place pattern on folded fabric and cut 2. 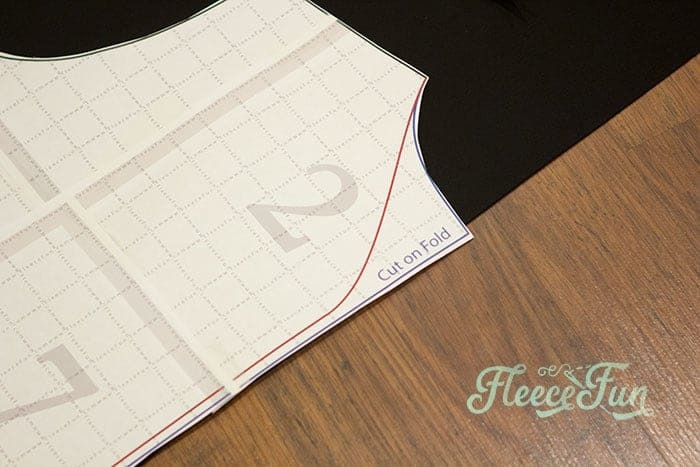 Notice that this pattern piece DOES NOT sit on the fold, Be sure to mark the notches. 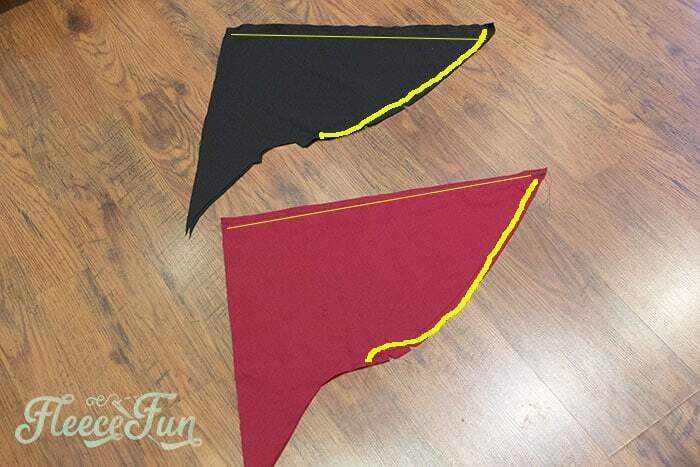 so you will have TWO separate pattern pieces when you are finished. 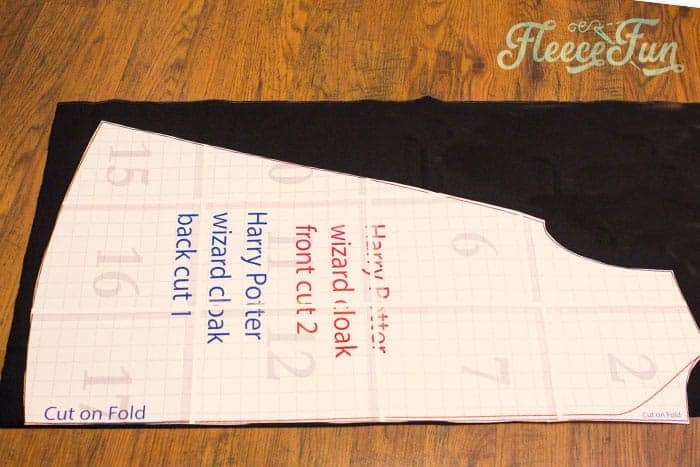 For the sleeves of the Harry Potter Robe Pattern, with the remaining fabric adjust the fold so it’s NOT in the center of the fabric. 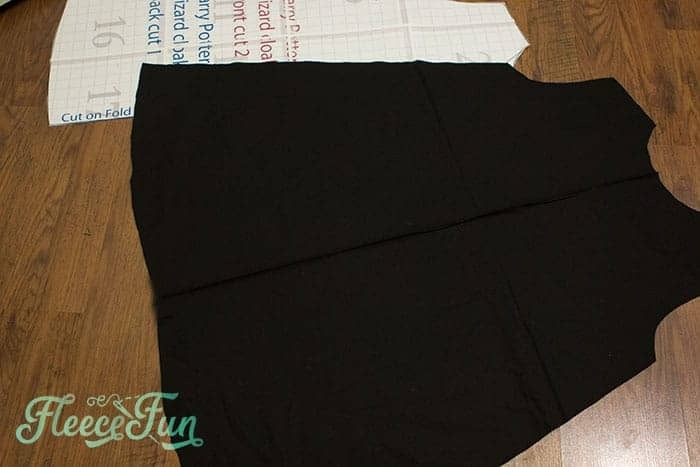 Make it wide enough to cut out a sleeve, cut one and adjust the fold again to cut out the other sleeve. Cut two of the sleeve lining on the fold. 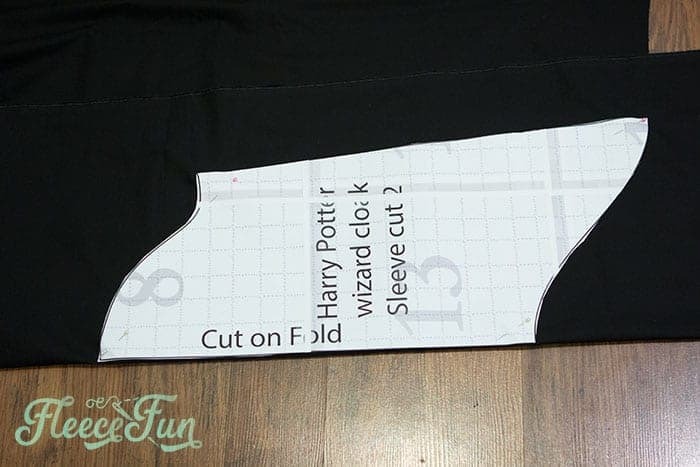 Cut two of the wizard cloak lining. 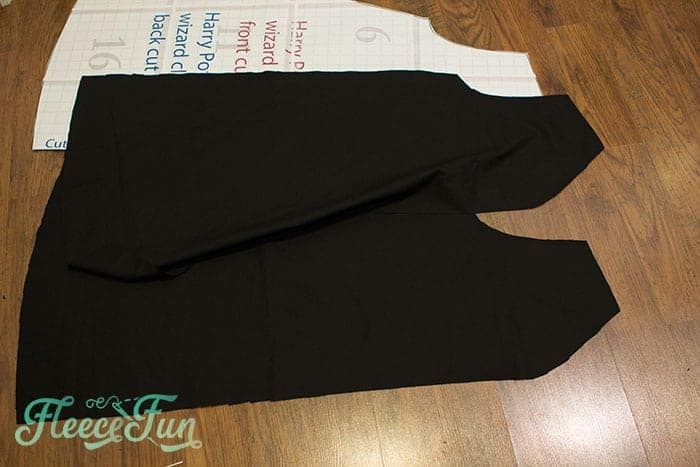 and cut two of the wizard cloak hood lining. 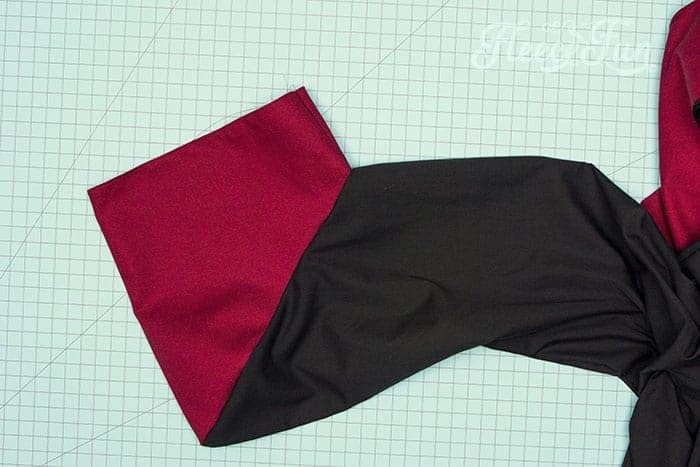 Note: to get the most out of your fabric, you’ll flip the pattern piece so the printed side is face down on the fabric. Make sure you include the notches for reference later. All seam allowances are .5 inch unless otherwise stated. 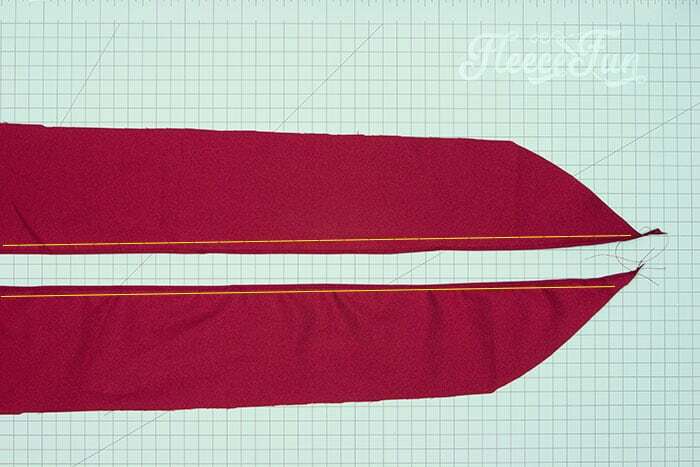 Let’s begin with the exterior of the robe. Next take the sleeves and pin to each side, right sides together. 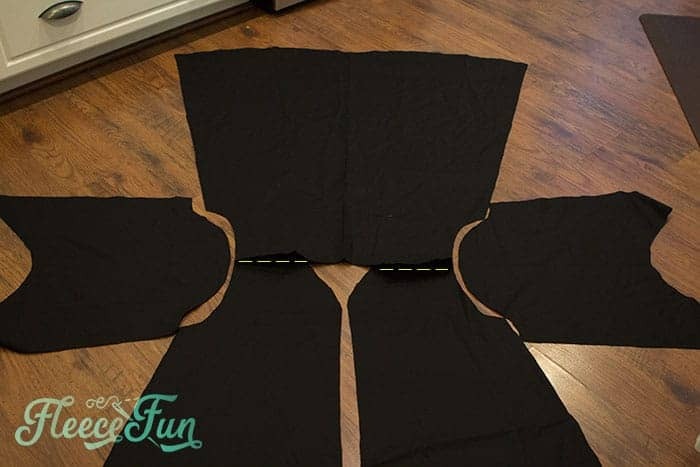 Sew the sleeves to robe. 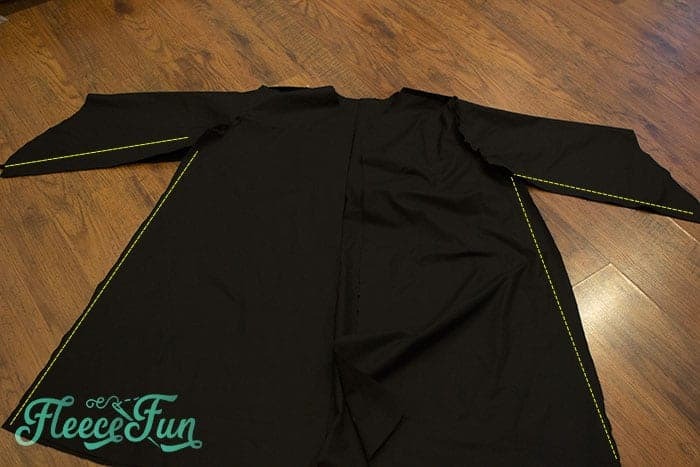 Right sides together, Pin the side seams of the robe all the to the ends of the sleeves. 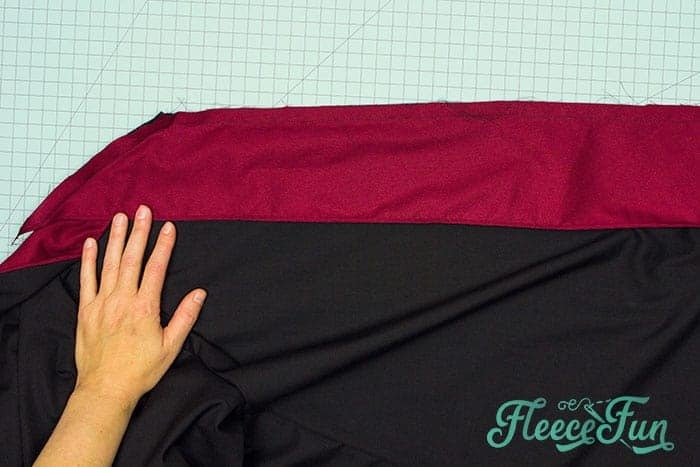 With right sides together, sew the top of the hood exterior. 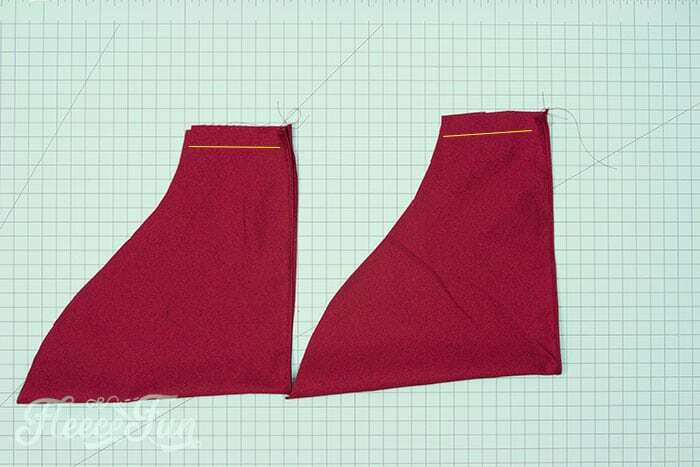 Then following the red line on the pattern as a guide sew to the notch at the base of the neck. Repeat this process with the hood lining in the house color. Trim notches in to curves so it will lay nicely. 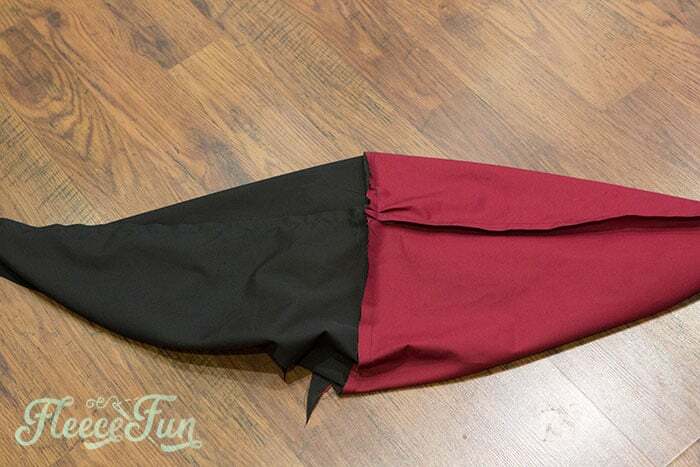 Turn the hoods so fronts ( the long straight edge) are facing each other and pin right sides together. 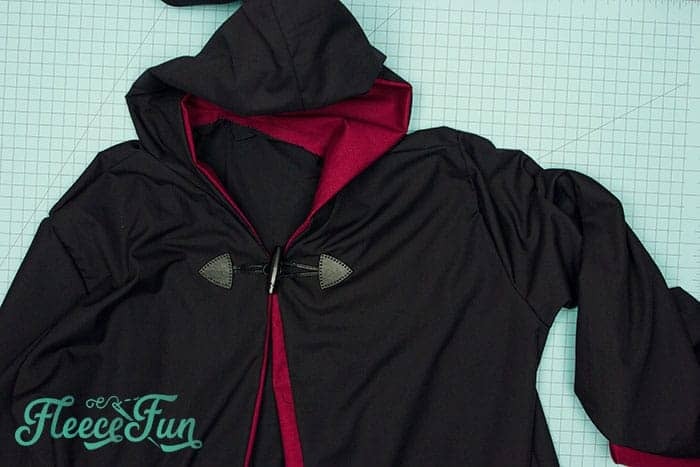 Stuff the lining into the hooded robe exterior. 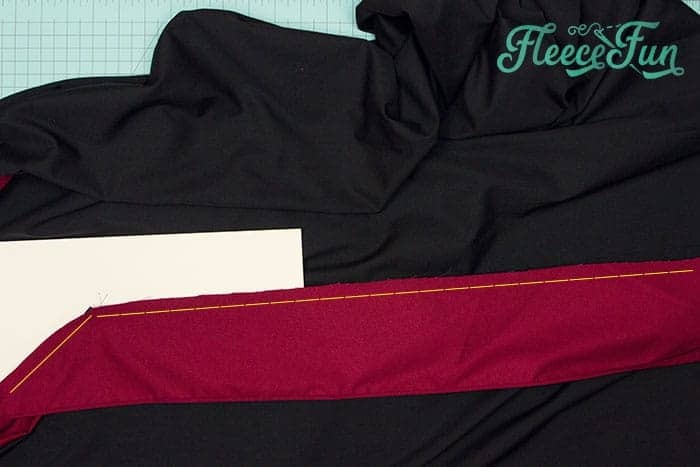 Pin the hood to the robe neck, right sides of the exterior touching. 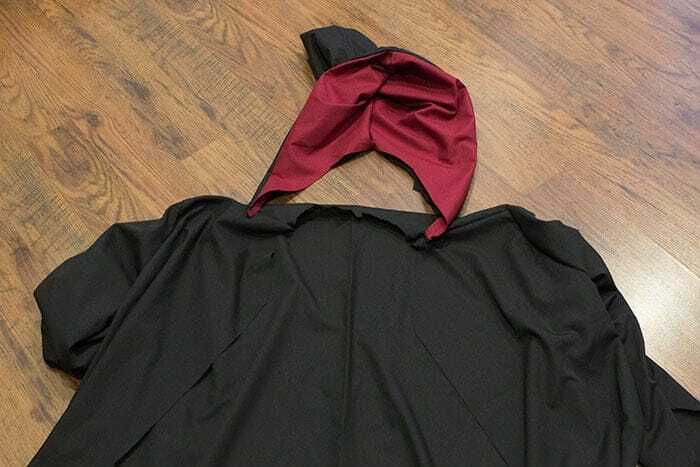 Sew to the robe. Set the robe aside. 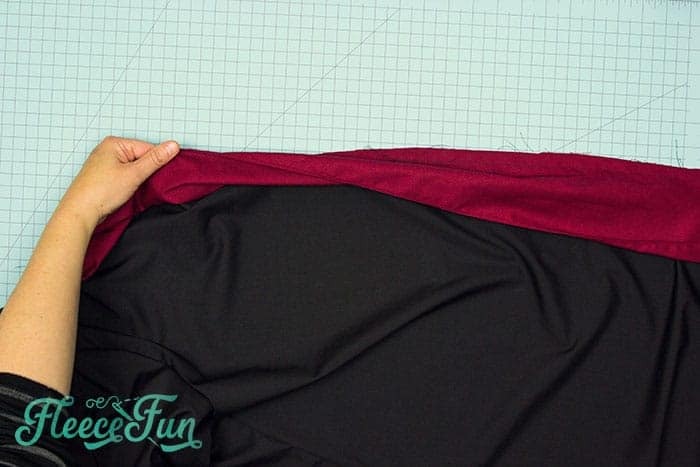 To create that flash of house color inside the robe, we need to prep and insert the lining to it. There are a couple of ways to do it. 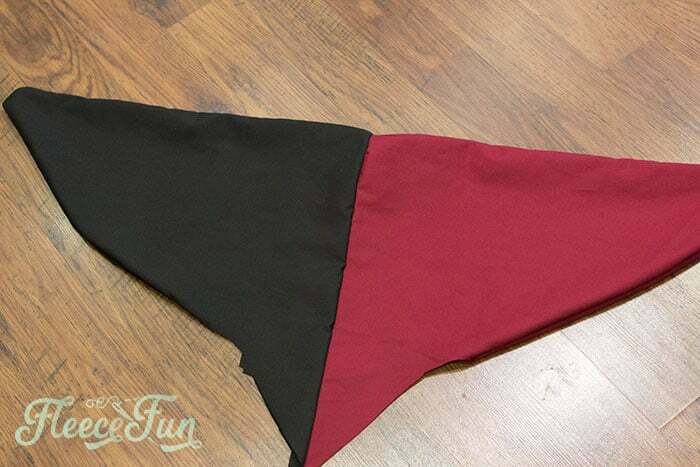 You need to finish the raw edge of the lining, ( this is the side of the lining that comes to a point at the top). 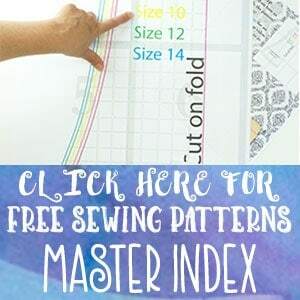 You can either turn it under a quarter of and inch, press and then zig zag stitch along the edge in a thread that is the same color to finish the edge. Or you can use a turning foot to turn that raw edge under and finish it ( this is how I did it). Note: Make sure that they are mirror images and you don’t finish them on the same side. 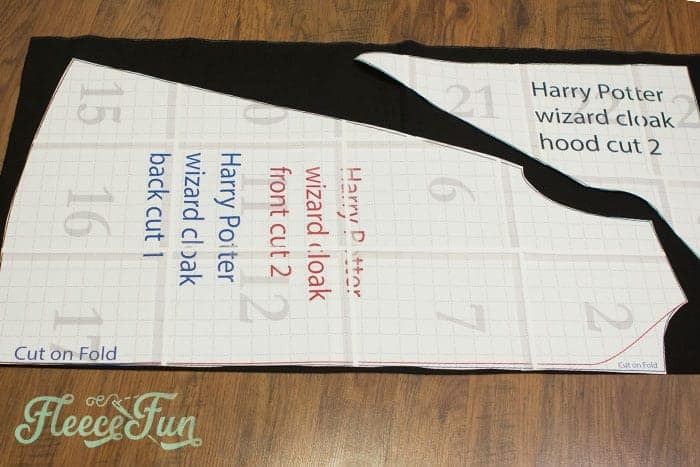 Once that edge is finished you can attach it to the Hogwart’s robe. 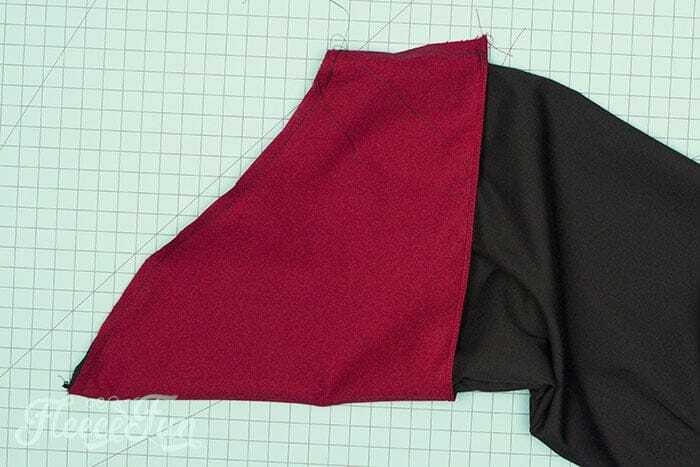 Line up the top of the lining to the hood/ neck line right sides together. 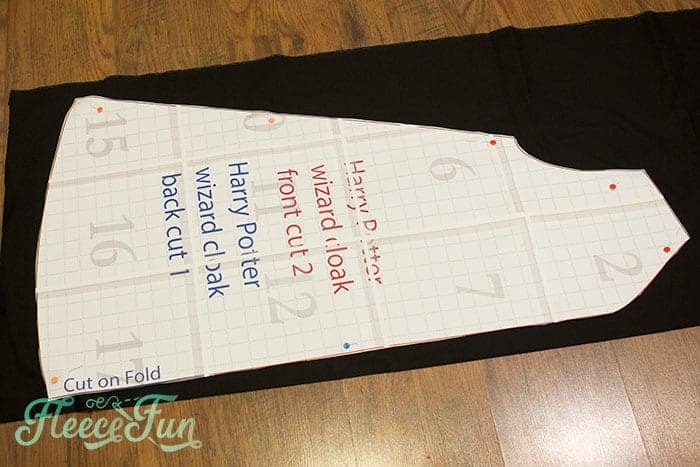 Pin the lining and sew onto the wizard’s robe. 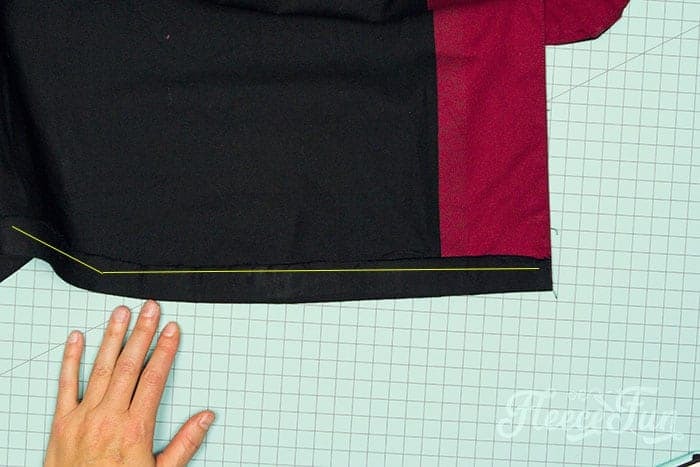 Trim the seam at the angle. Turn the lining to the inside. repeat on the other side. Now it’s time to add that flash of color to the sleeves. 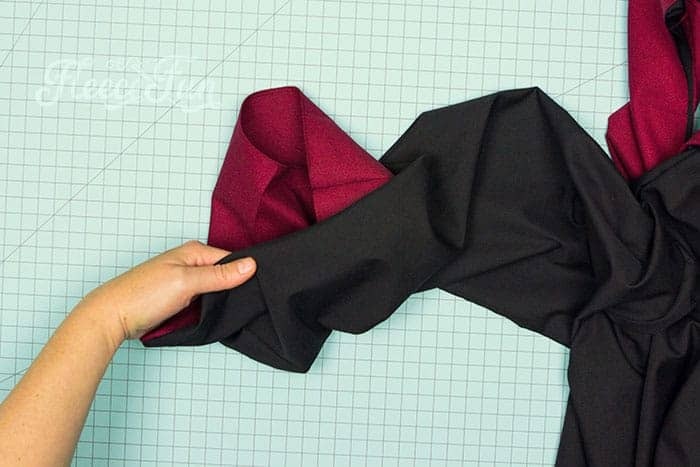 Take the sleeve lining, and on the small side pin it right sides together and sew, to make it a loop. Add it to the sleeves. 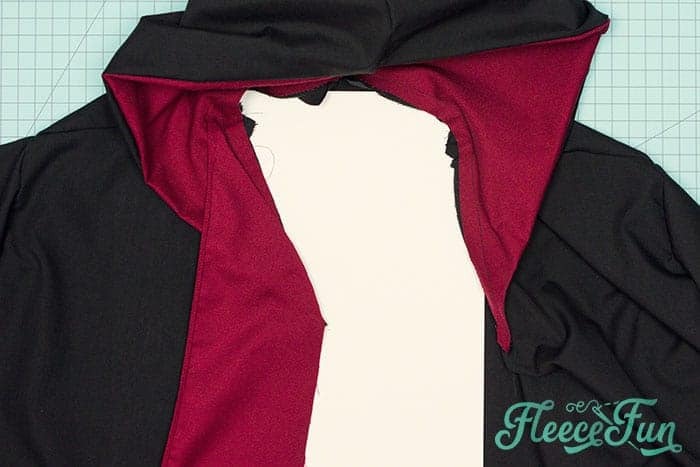 With the robe sleeve turned right side out, pin the wizard cloak sleeve lining to the sleeve so right sides are touching (sleeve lining seam should be facing out). 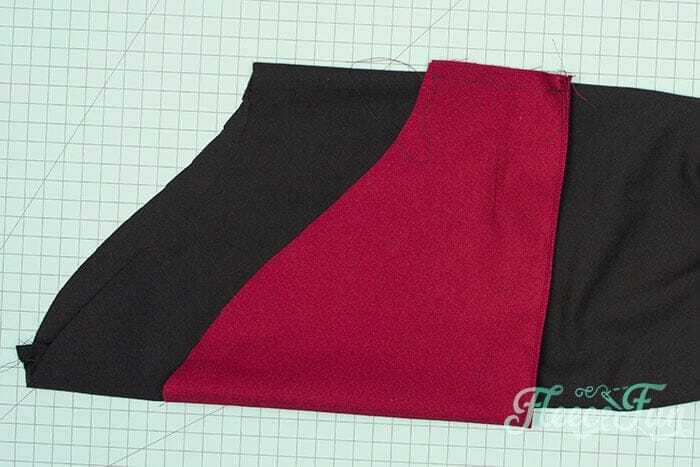 Note: The seams on the sleeve and the lining DO NOT match up, the curves do. 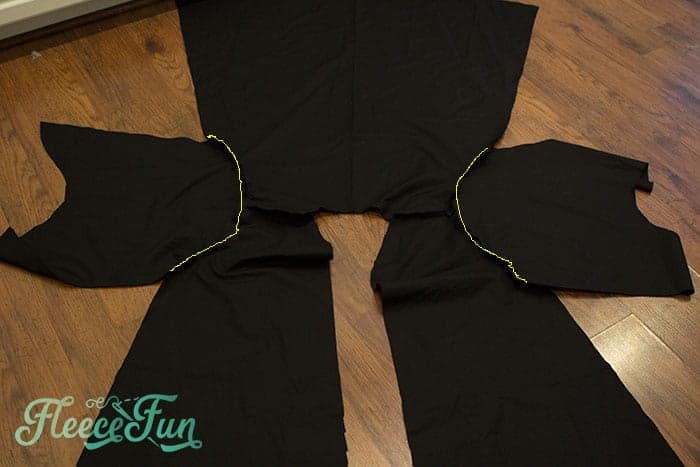 This is the hide the seams for a more pleasing appearance. 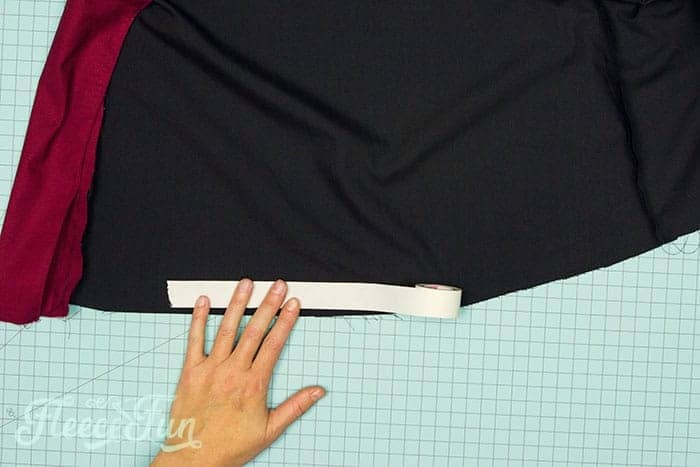 Pin each side to the sleeves right sides together. 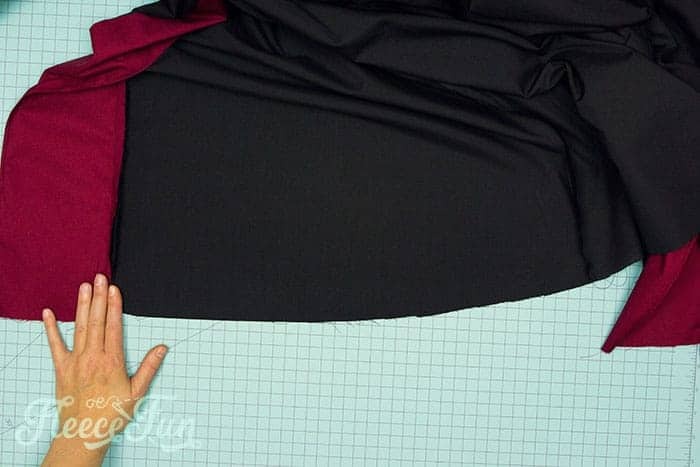 Sew on, for this seam use a .25 inch seam allowance. trim curves. Then tuck it into the inside. Optional, but recommended. 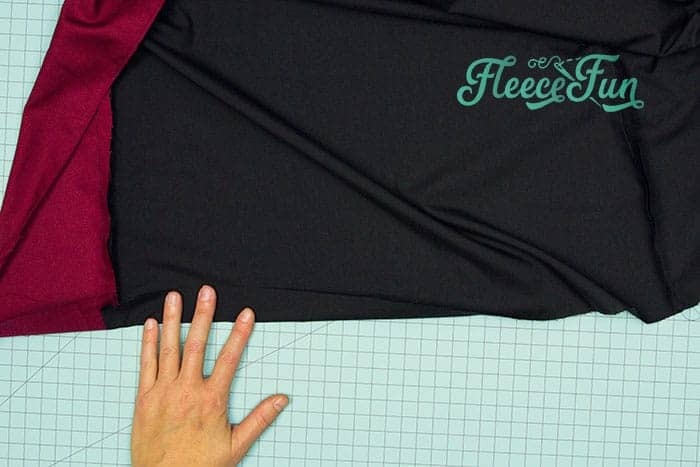 Top stitch along the out edge of the sleeve to keep the lining inside and the look neat. Hand tack the edge of the robe sleeve lining on the inside of the sleeve with glue or a few stitches to keep it in place. Again there are a few different methods you can use. 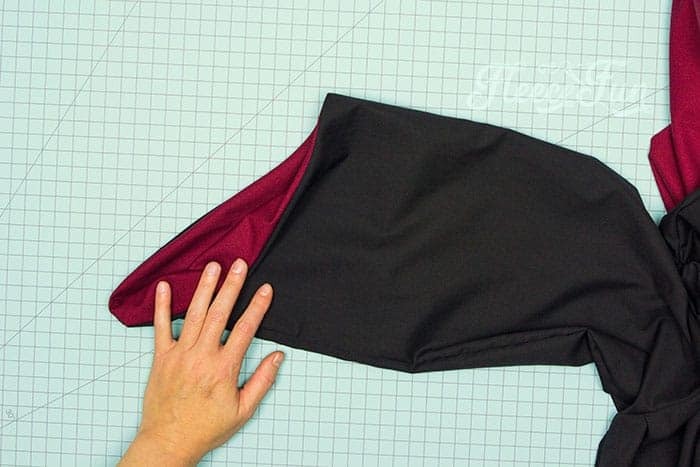 or you can hand sew the hem up too. It’s your costume so you can finish it as nicely ( or as quickly) as you would like. Add the house patch to the left side of the robe. If desired add a frog clasp where the front v comes to a point on the wizard robe. Top stitch around the front, and the hood so the robe will lay nicely. 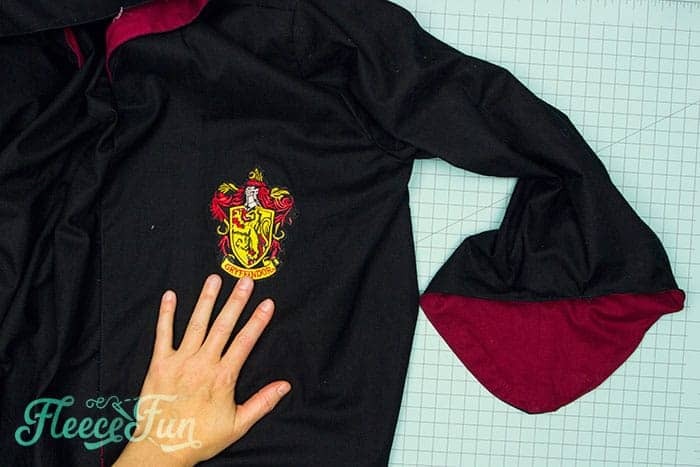 You’re finished with the Harry Potter Robe DIY! Looking for more costume ideas? 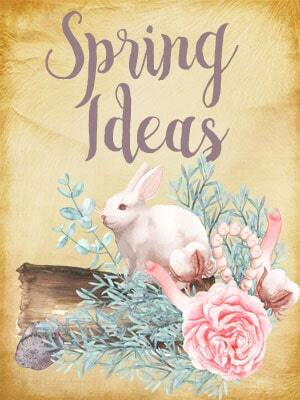 You can see all my free costume patterns here. 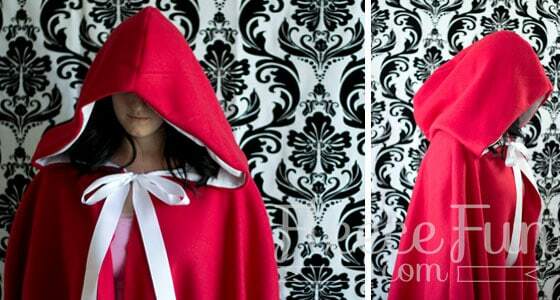 The red riding hood cape, adult and kids sizes. Want more Potter inspiration? 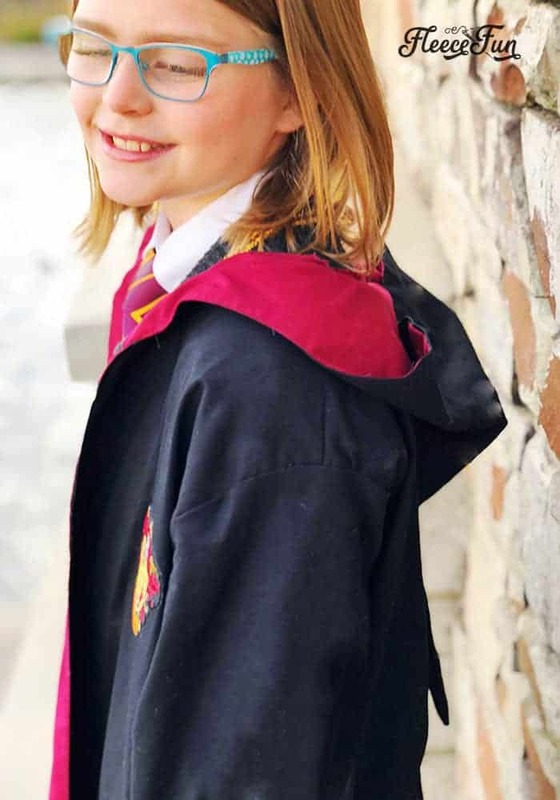 Try this adorable Golden Snitch skirt by pieces of Polly.